A couple of Sundays ago I went to an Upcycle Exchange Open House. The cost was $10 for a paper grocery bag of items. They collect a bunch of art supplies and you get to choose amongst the collection. It was fun and I feel I got more than 10 dollars worth of stuff. Plus, I now have a place to pass on my supplies I no longer need. My bag came home filled with crafty potentials. 21 different fabric scraps – some fat quarter sized, with a beautiful skein of purple and white wool are what I found to add to my fabric and yarn stashes. 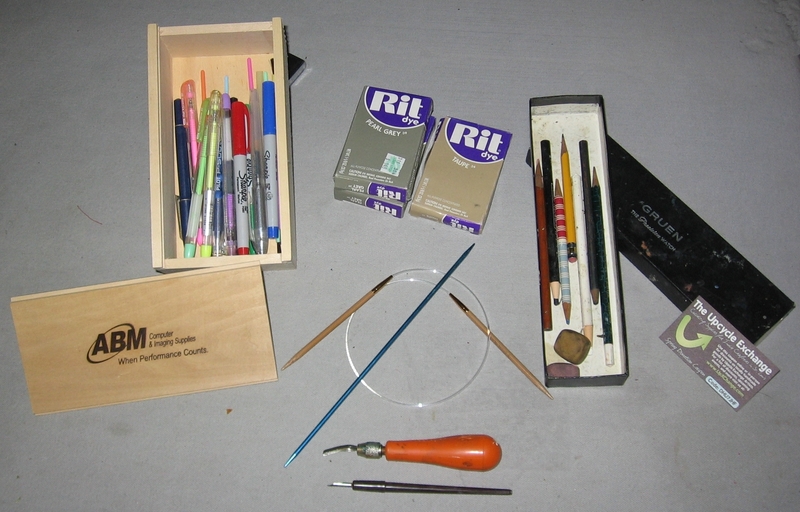 I also got some pens and drawing pencils, a circular knitting needle, a tiny calligraphy pen, a gouge tool for making stencils, some dye, some magnets, and a very cool wooden box. It costs $15 a quarter to join. At the monthly meetings, if you get a bag of stuff, you pay $5. I will join in May when they have open enrollment. I had a good time and got some great stuff. 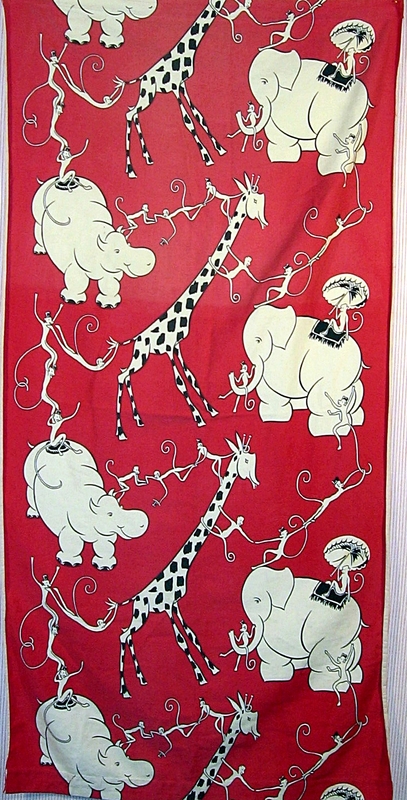 I am still ironing all my new fabric. I am maybe half way thru the giant stack/mountain. It is slow and I don’t like it, but the finished pile has grown. I am making progress. Nothing else sewing wise can happen until I get this fabric put away. 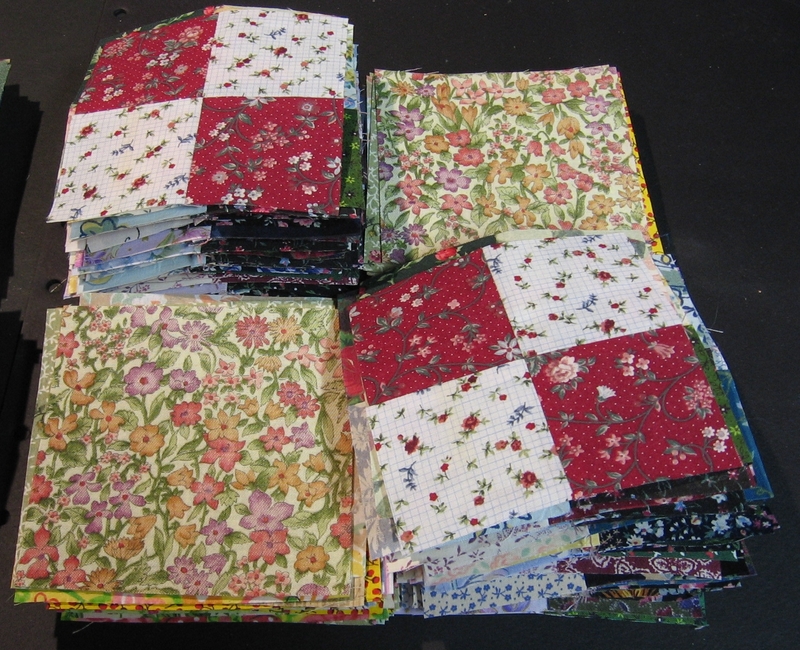 So the double 4 patch is on hold, as are the scrap little quilts I am making for clowder house. I did recast on for slippers for my mom. I have 2 rounds of the first slipper done, but that is something. 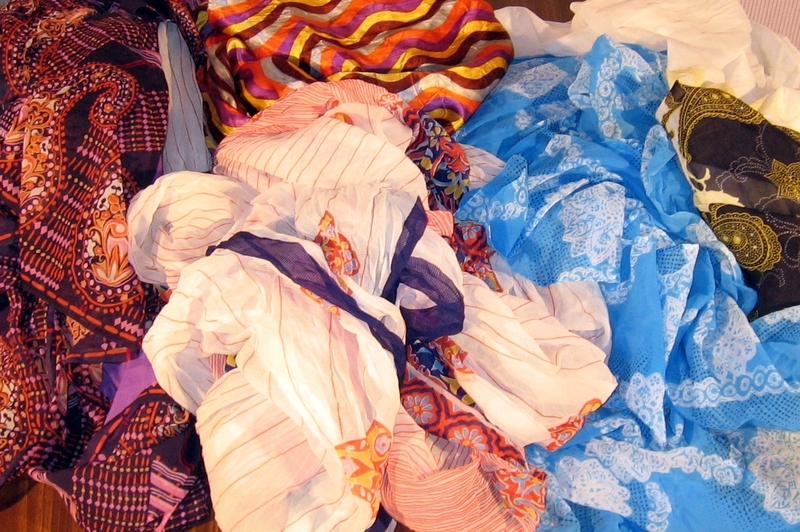 Well, I don’t think one can have too much fabric, as long as it is organized. Getting organized is a hurdle. Staying organized is perhaps more a hurdle. 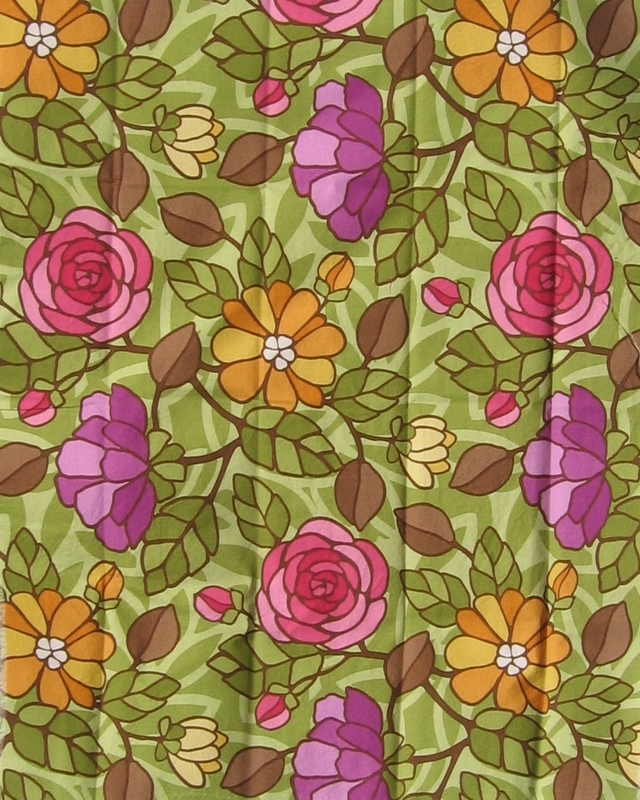 I acquire most of my fabric from thrift stores, but at least once a month, I spend $20 at Joann’s on fat quarters and remnants. Usually, I wait until I have a whole load, then wash, iron, sample, fold and store. I don’t have home laundry – I use a friend or laundromat. I kinda let the fabric pile up recently. Today was laundry day. I used 2 80lb washers and 1 50lb washer. One of the 80 lb ones was just fabric. 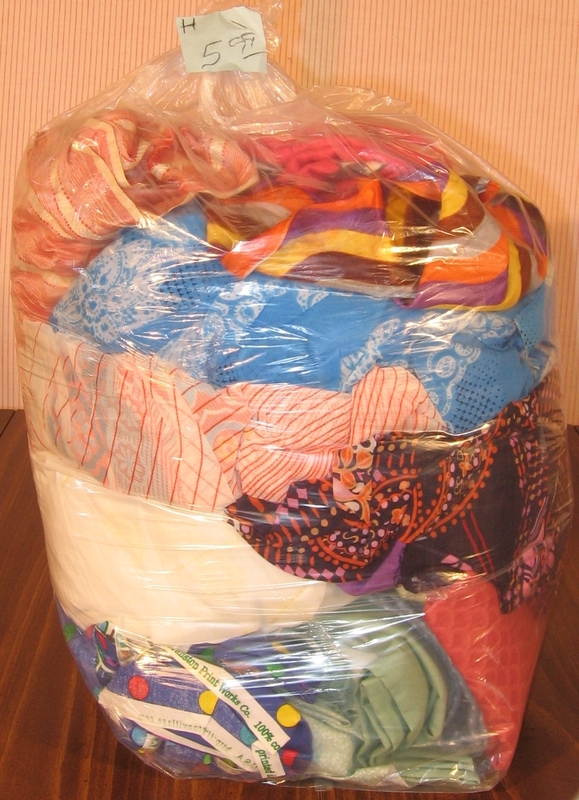 I have 3 overflowing baskets of fabric to iron, sample, fold and store. I have no idea how many different fabrics yet. It is a lot. I am totally overwhelmed by the MOUNTAIN of fabric I must iron. I am glad to have all of it. 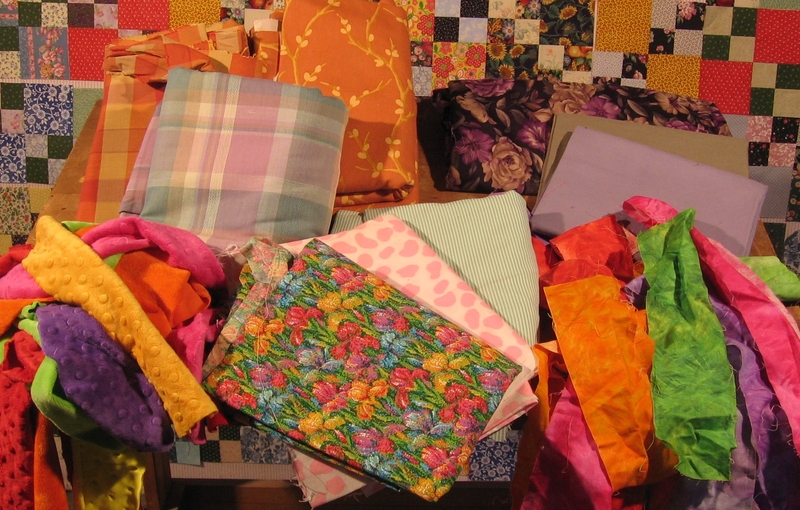 I am thinking of all the great quilts I will make this year. I could make everything I have made this year and it would all be different. I don’t even know if I have enough bins to hold all the new stuff. I had to take a break from ironing to post this, because the ironing feels too relentless – like it will never end. 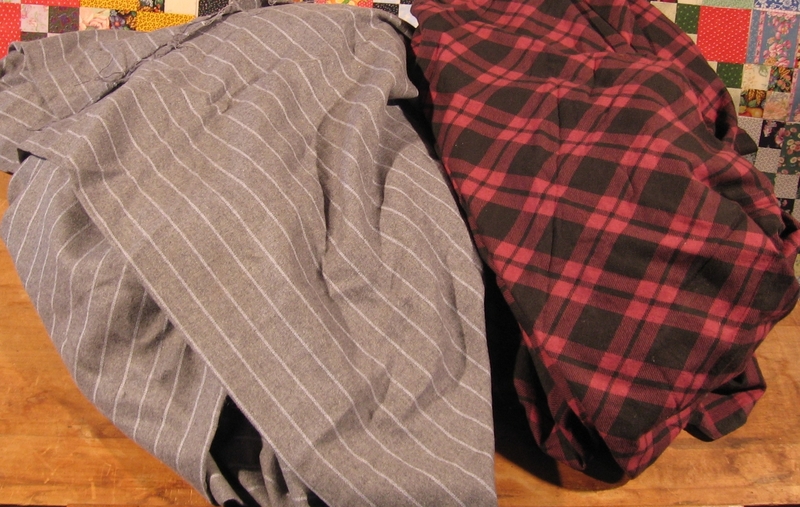 But I got some really nice fabric in this pile. 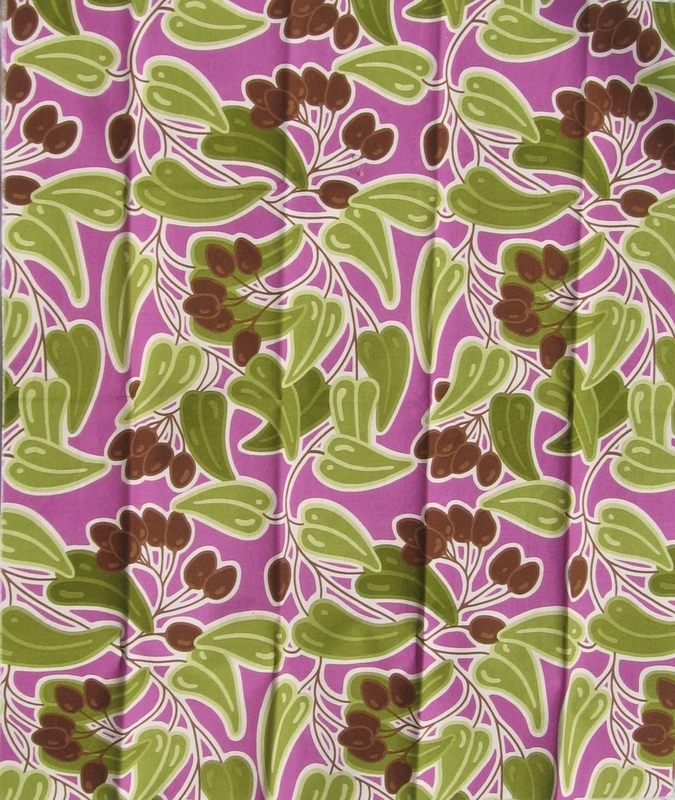 I like as many different fabrics in a quilt as possible. It is true that all colors go together if you have enough of them. I have been collecting fabric since 2000, but seriously collecting over the past 2 years. I went from 5 bins to 12 and I think I am gonna need more bins. It would be easier on me if I didn’t prewash. But I figure prewashing is best for me, because I don’t know if the thrift store stuff has been washed or not and washing everything makes all the fabric equal. 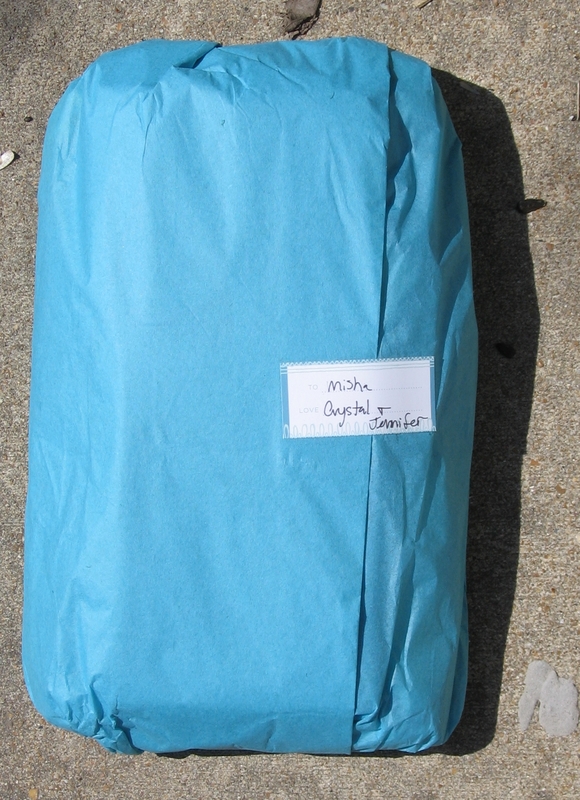 When I make a quilt, I decide what the fabric theme is – all florals, blues, reds, etc. 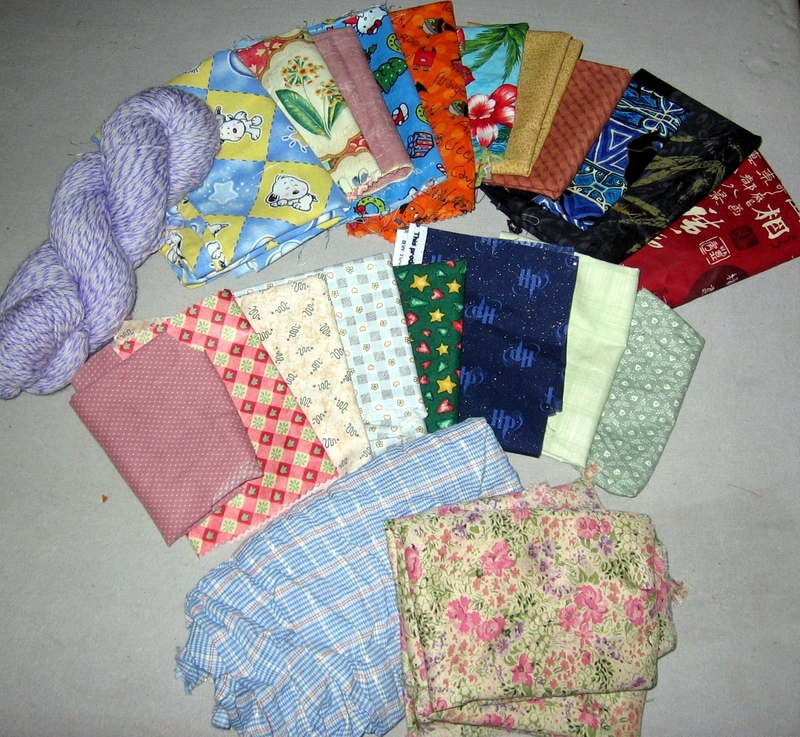 – then I pull a fat quarters worth of each of the fabrics that fall into the theme. Then I douse with starch and let dry. Then I stream iron. The fabric is then ready for cutting. 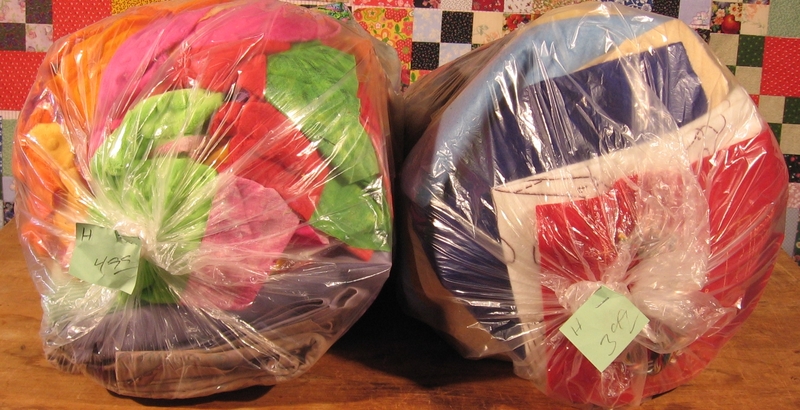 I make one big quilt and one smaller quilt and little quilts with the remaining fabric. I think this is the most efficient way for me to quilt. But WOW, this time I really have bit off more than I can chew, or rather iron. There are over 100 peices of fabric to iron. I have at least spread out the fabric on a table to wait for me to iron it rather than leaving it unfolded and squashed into laundry baskets. Some of the pieces come out of the dryer SUPER wrinkled. I hate that. Why can’t I pull them from the dryer and have them be wrinkle free. So I don’t have to iron more today. I can just leave them ’till tomorrow. An all day affair this. 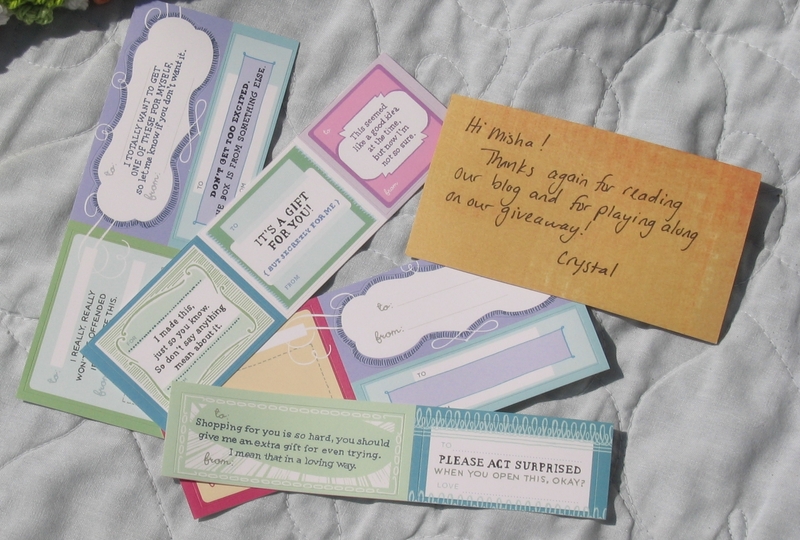 I enjoyed doing the last fabric aquisition post, so I thought I’d do another. 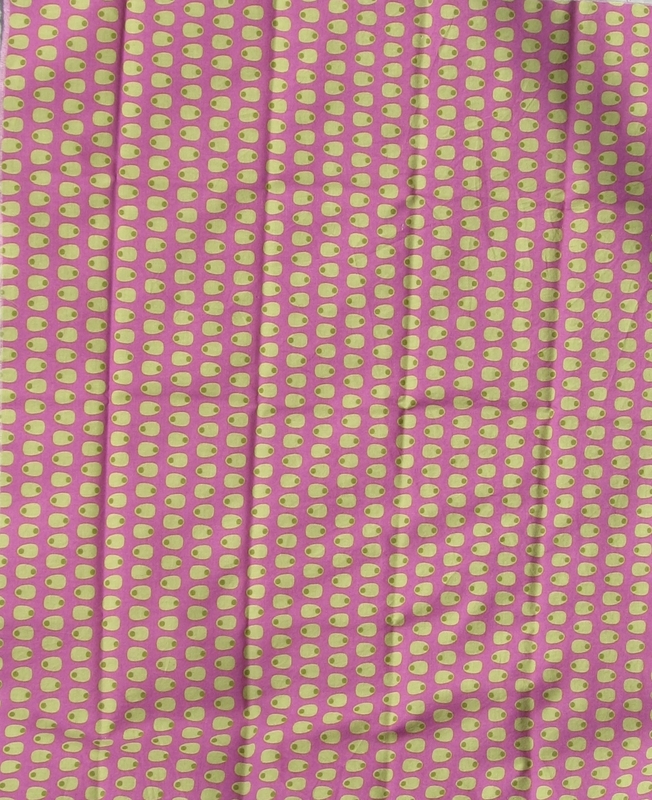 My $9 dollars netted me a good deal of fabric. Most of it is not quiltable, but the bright strips on the right are, so is the center front. 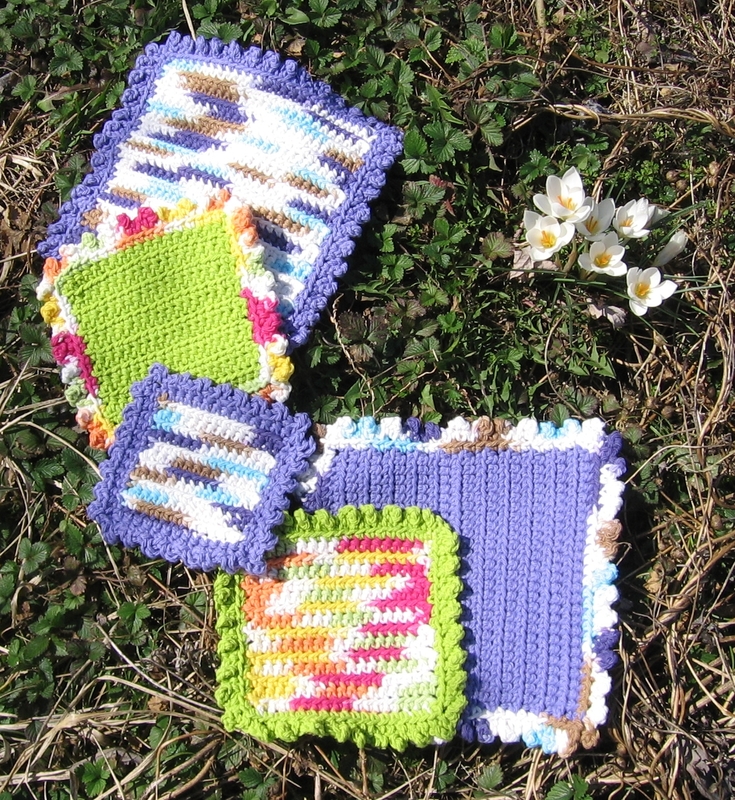 I don’t know what I will do with the non quiltable – maybe tote bag prototypes. 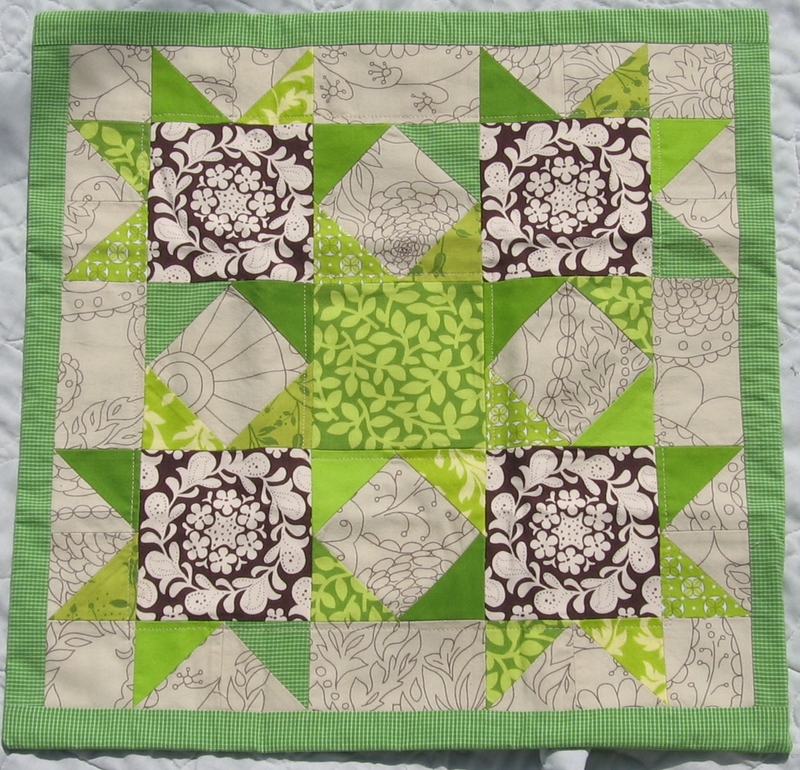 I decided to make a double 4 patch quilt with the fabric leftovers from the waterwheel quilt. I have the fabric all cut and sorted and partially sewn. I laid out the blocks in 2 big stacks, the light and dark. I stacked them like this so that I can hopefully sew them all exactly the same way. 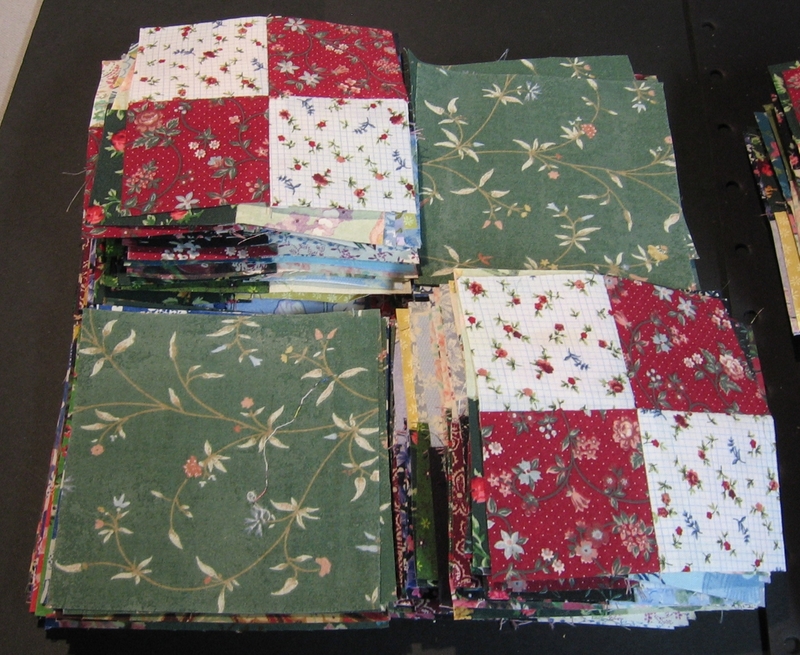 I think there is enough here that I am gonna end up with a bonus full size quilt. Time to sew!